The patented Bravo shoulder rest was developed to meet customer demand for a wooden rest from Kun. 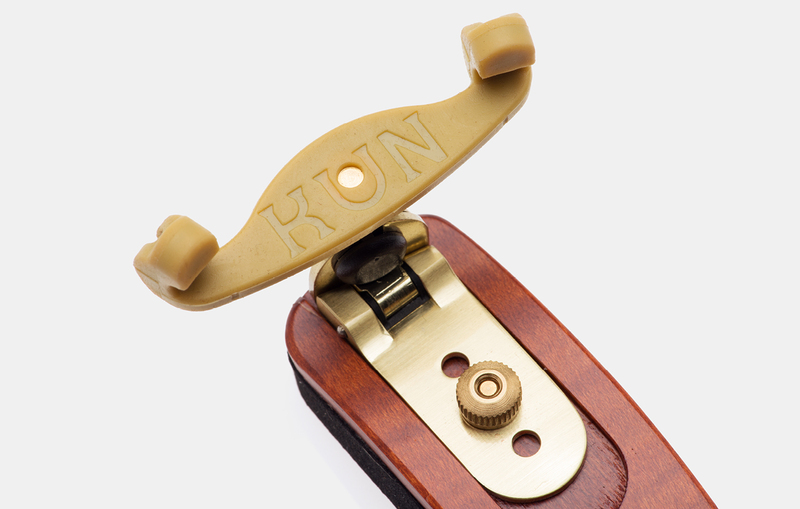 As always, quality, ergonomics and innovation were our starting points. 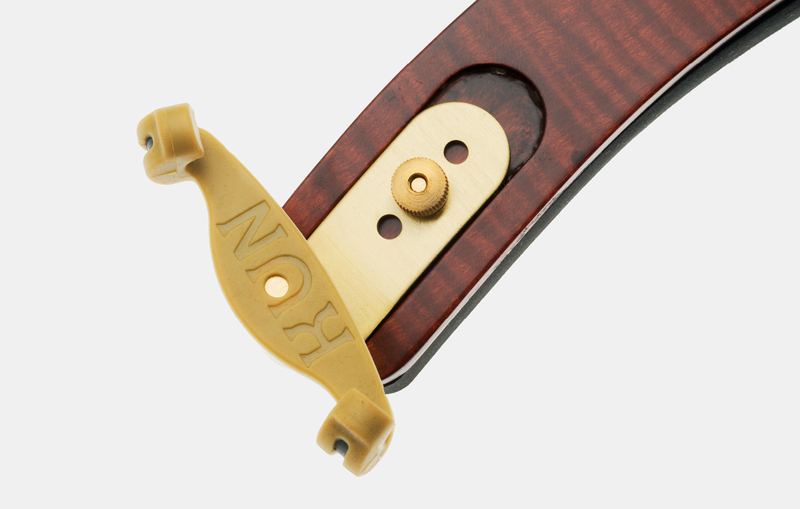 The Bravo’s base is made from bent hardwood laminates oriented to provide the precise combination of strength and flexibility a shoulder rest requires. These bases are hand-made in Italy from well-figured European curly maple to reflect the back of a fine violin. 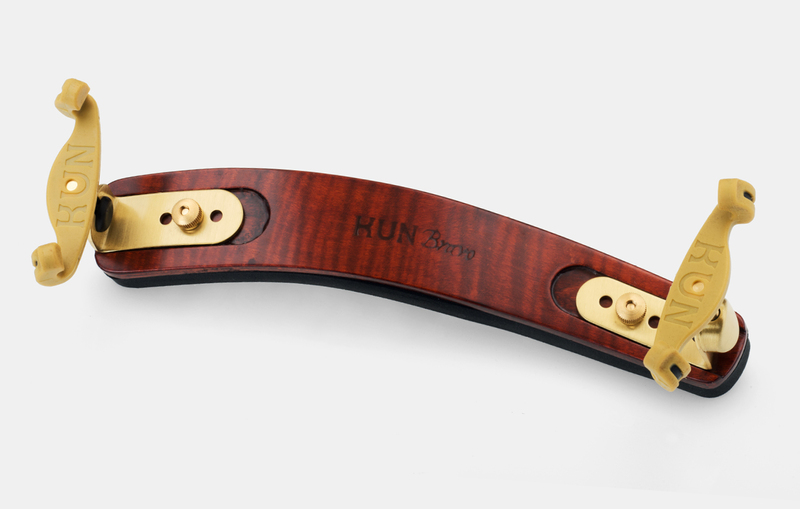 The Bravo’s metal adjusting mechanisms, which incorporate Kun’s patented locking device to limit rotation, enhance the elegance of this outstanding product. The highest quality sponge rubber, representing the latest in polymer technology ensures that the padding offers extra grip, greater comfort and maximum durability. Folding ends on the Bravo Collapsible model make it easy to store. Standard and Collapsible models available for viola and full-size violin.